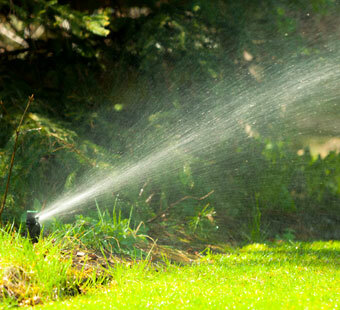 Wetlands Irrigation can provide you with all your irrigation needs, servicing both residential and commercial properties. Owned and operated by Len Harsevoort, an experienced irrigation technician from the Waterdown area, Wetlands Irrigation Inc. has been providing professional irrigation systems in Southern Ontario since 2001.We service and install to both home owners and contractors in Southern Ontario, including Mississauga, Burlington, Hamilton, Waterloo, Kitchener, Stoney Creek, Grimsby, St. Catharines and more! Throughout the years we have grown into a larger business but still pride ourselves on quality workmanship and exceptional customer service. We still install many high efficient, durable residential irrigation systems each year both in urban neighbourhoods and rural estate homes requiring well or cistern fed pump systems. As we’ve grown, we have had the opportunity to expand our scope of work to include commercial design and installation services for large projects, such as condominiums, shopping plazas, sports fields, industrial complexes and green roofs.